"New Orleans is open and welcoming visitors. The city was prepared for Isaac -- levees, pumps and emergency plans worked exactly as designed and we had extraordinary leadership from Mayor Landrieu. 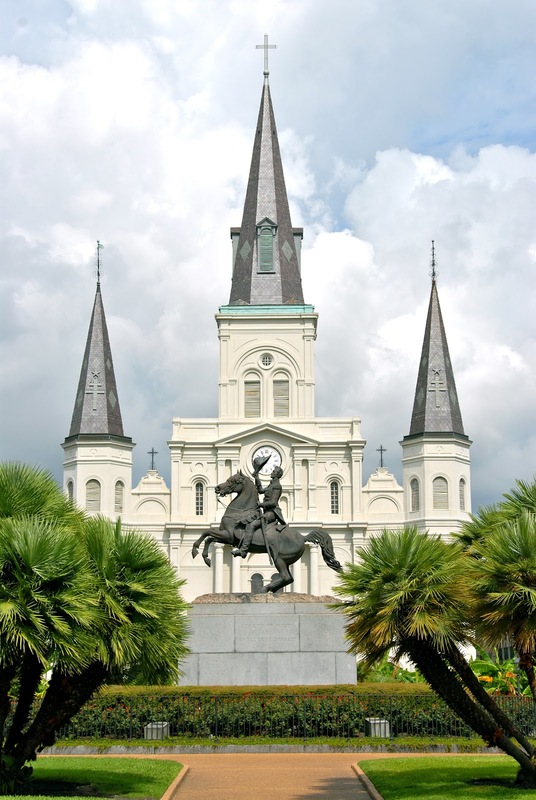 New Orleans' tourism industry successfully emerged from Hurricane Isaac and took marvelous care of visitors during the storm. There was no significant damage to our major hotels, restaurants and attractions, Louis Armstrong International Airport, Morial Convention Center, New Orleans Arena and Mercedes Benz Superdome. Southern Decadence Festival, a Labor Day tradition in New Orleans, proceeded as scheduled and welcomed nearly 100,000 visitors just days after Isaac passed through the city. Unlike some of our neighbors in surrounding parishes, New Orleans experienced some minor wind damage, power outages and approximately 16 inches of rainfall. Our hearts go out to our fellow Louisiana citizens in their recovery." 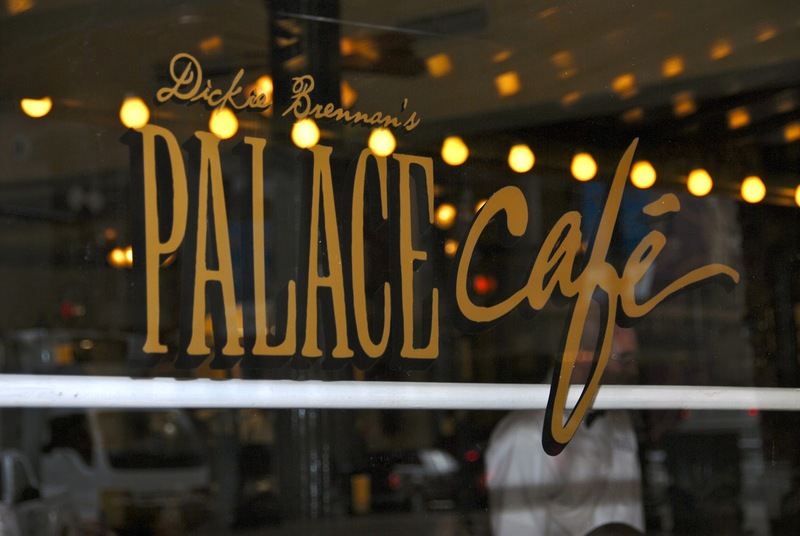 Michael and I pulled into town on a Friday afternoon just in time for our first reservation...lunch at The Palace Cafe. This restaurant is located on Canal St., the boundary of the French Quarter. 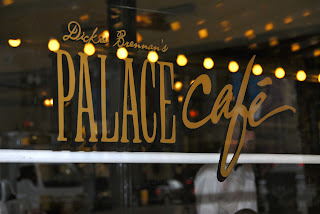 This restaurant is part of the Brennan's family of restaurants, and it's always been one of our favorites on past visits to New Orleans. The food is fabulous, and the prices are quite reasonable. August was the citywide COOLinary Restaurant Month, so they were offering a two-course lunch for $20. 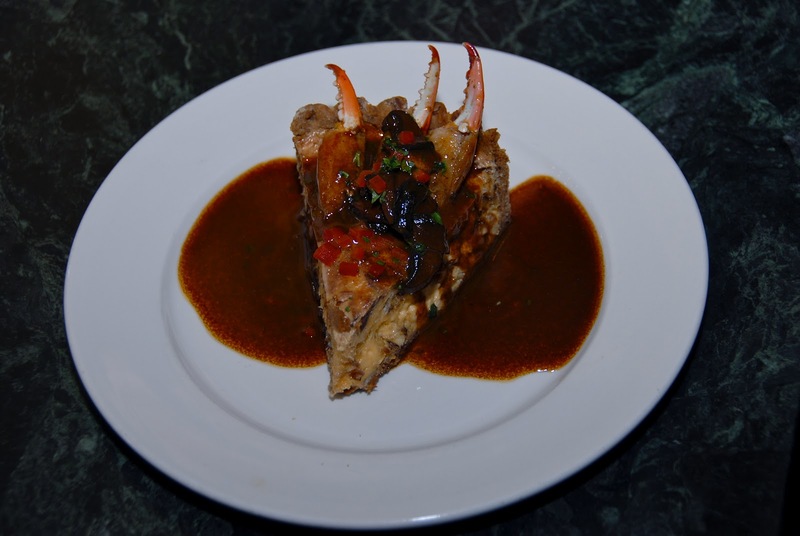 The appetizer was their signature savory Crabmeat Cheesecake, which is served in a pecan crust and topped with wild mushrooms and crab claws in a Creole meuniere sauce. It was a fabulous start to the meal: creamy, spicy, and rich! Michael and I were dueling with our forks to get the last bite. 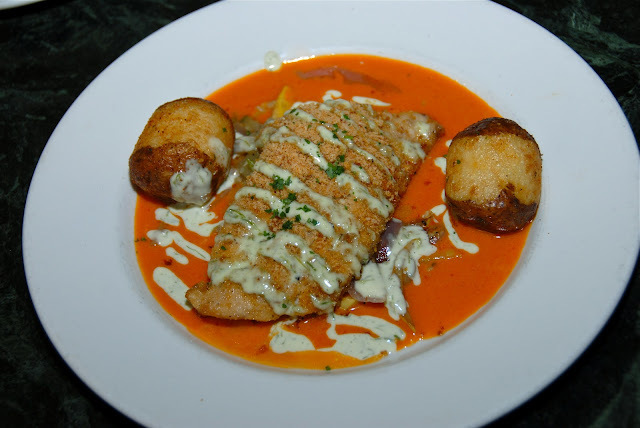 The COOLinary entree was Catfish Pecan, a fillet of catfish coated in pecans and spices and pan-sauteed. 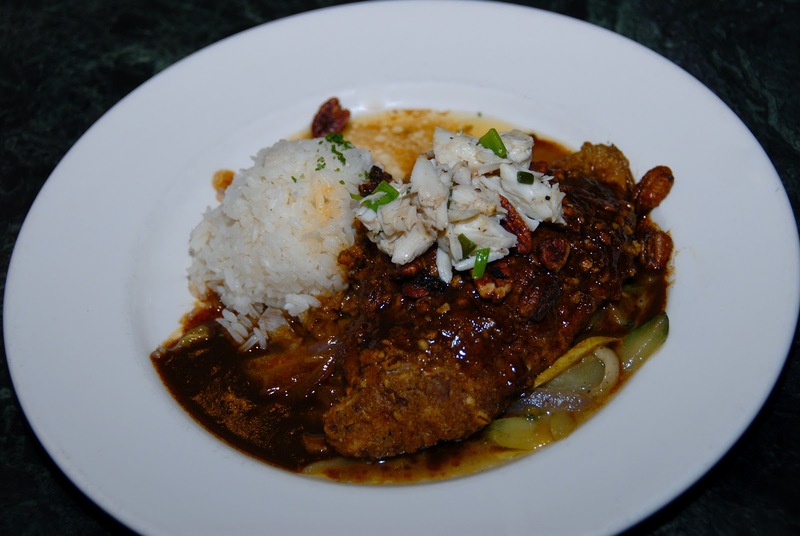 It was topped with meuniere sauce and lump crab and served over popcorn rice. It was slightly spicy and perfectly cooked: tender inside and crispy/nutty on the outside. If you've never tried meuniere sauce, it's basically a lemon-flavored brown butter sauce. It pairs especially well with fish. Michael opted to order from the regular lunch menu, ordering a Blue Cheese Salad and their very popular Andouille Crusted Redfish. 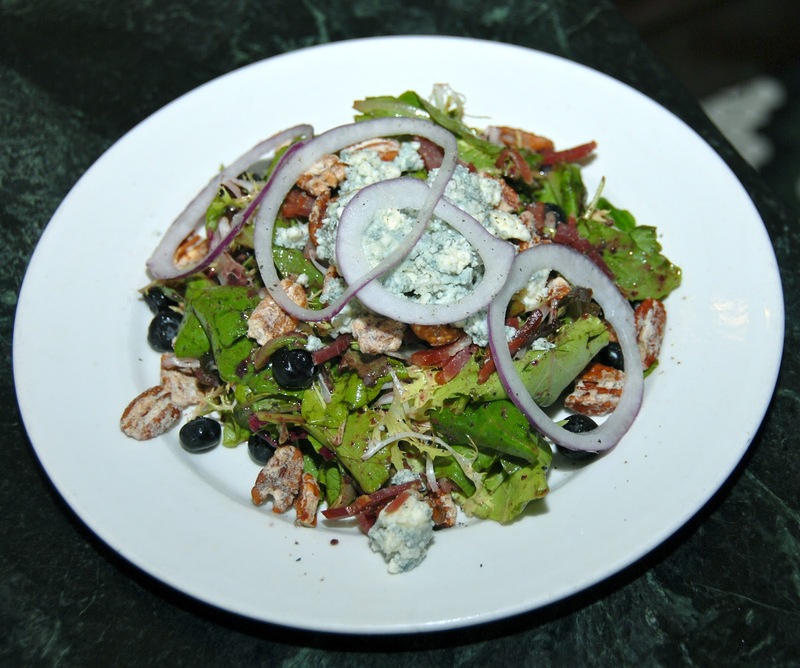 The salad was a fantastic combination of flavors and textures: blueberries, blue cheese, crisp proscuitto, candied pecans, and shaved red onions tossed in a bluebery-balsamic vinaigrette. Each bite was a bit different, depending on which ingredients were on your fork. This salad was unique and very tasty. The redfish was coated in an andouille sausage coating and pan-seared. It was served with a spicy Crystal hot sauce beurre blanc and roasted garlic aioli. Michael said the fish was cooked perfectly moist and that the sauces really complimented the flavors of the fish nicely. We were getting pretty full by then, but General Manager Levi Janssen stopped by our table with a sampler of their house-made desserts for us to taste. 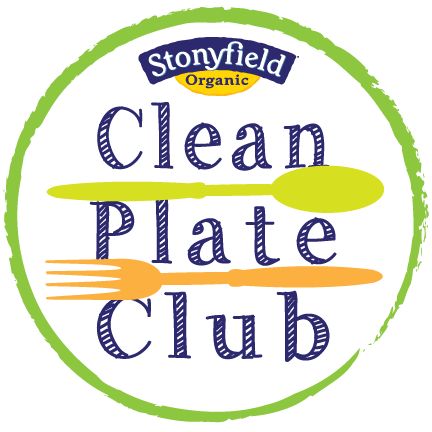 The plate included their signature White Chocolate Bread Pudding, Strawberry Cobbler Cheesecake, and warm Blueberry Crisp. All of the desserts were fabulous, but the bread pudding is especially heavenly. It's stuffed with white chocolate and topped with a rich white chocolate ganache. Yes, it's rich...but it's so good that you won't mind. Trust me. After lunch, it was time to check into our hotel for the weekend. 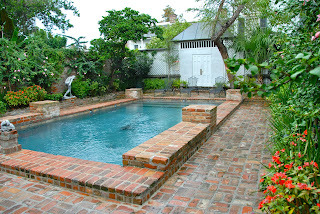 Our stay at The Audubon Cottages was hosted by The New Orleans Hotel Collection, a group of locally owned boutique hotels. The Audubon Cottages epitomize everything Michael and I love most when we travel: secluded, quiet, and luxurious! 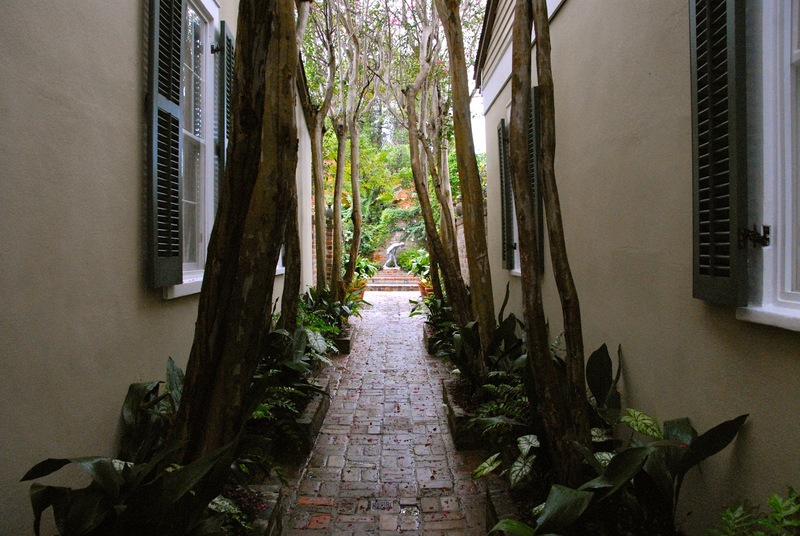 We opened the door of the private entrance to the property on Dauphine Street...and found a peaceful, nicely landscaped courtyard. It was hard to believe that the hustle and bustle of the French Quarter was just outside, because we felt like we were in a private home...and we essentially were. 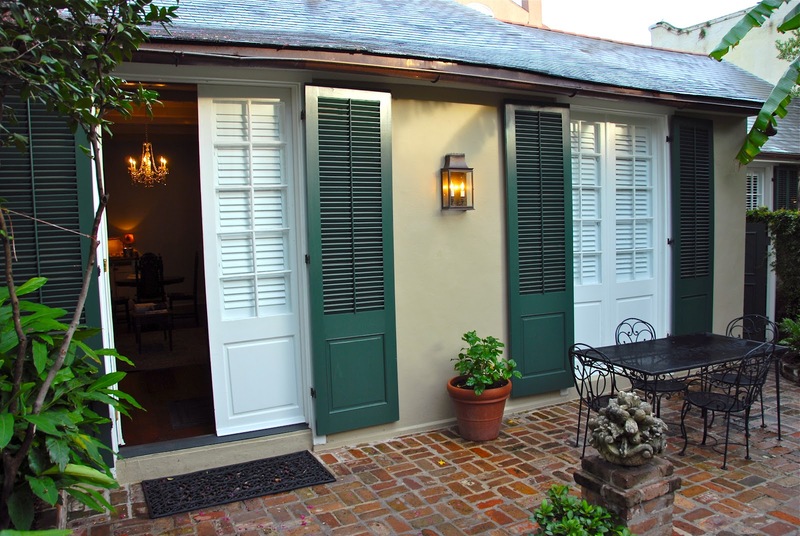 The Audubon Cottages features seven cottages with one or two bedrooms, most with private courtyards. One of the cottages was the home of John James Audubon when he completed his Birds of America series in the 1820s. Talk about history! We stayed in Cottage 2, which features two bedrooms, a large living room, and a small dining area that seats up to four people. The amenities were wonderful: free WiFi, a Sub-Zero drawer fridge/freezer big enough to hold all our leftovers, a Keurig coffee maker, iPod docks and flat-screen televisions in both bedrooms, plush bed linens, and a jetted soaking tub in the master bathroom. We felt totally spoiled! There was also a small saltwater pool just steps from our private courtyard. Perhaps the best part of staying at The Audubon Cottages was Roderick, the property's butler. He was absolutely wonderful! He answered any questions we had about the city, provided us umbrellas when it rained, and he was so friendly. Each morning, he set up a continental breakfast in our private courtyard. When we woke up, coffee and juice, pastries, yogurt, and fresh fruit were waiting for us. Roderick even had a bottle of champagne chilling on ice for us when we arrived. 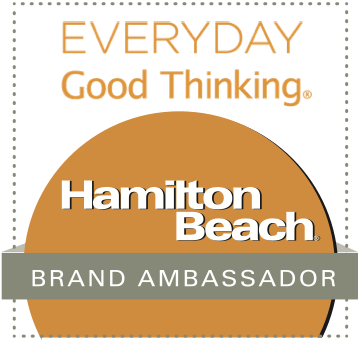 Marc Becker of The New Orleans Hotel Collection gave me a special promotional code to share with The Weekend Gourmet readers. 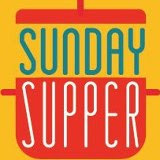 Simply enter the code BARCOUP when you book a reservation at any of their properties, and you'll receive a special discounted rate for Sunday through Thursday stays. We settled in our cottage, unpacked, and relaxed for a bit after our long drive and filling lunch. Before we knew it, it was time to get ready for our dinner reservation at Dickie Brennan's Steakhouse. 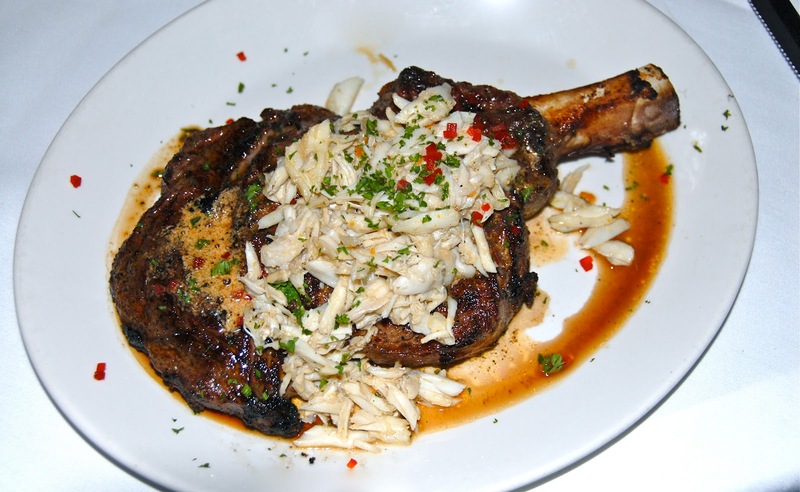 This steakhouse has been recognized as one of the best in the country. Once we ate there, we understood why. We arrived and were warmly welcomed and seated by the General Manager Jorge Henriquez. Since we had eaten such a large lunch, Michael and I opted to share an appetizer and a salad. 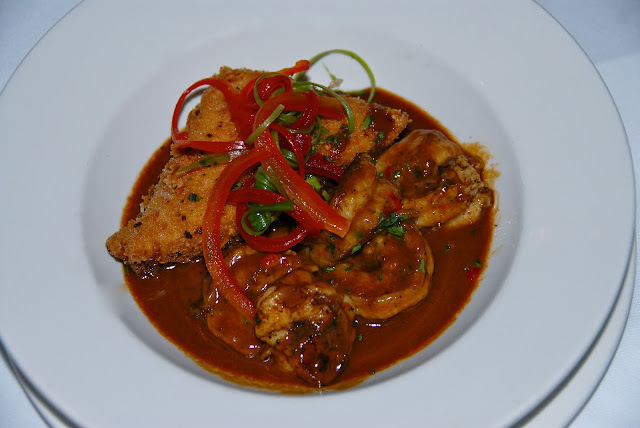 Our appetizer was the Barbeque Shrimp & Grits, which featured jumbo garlic-infused shrimp simmered in a local Abita beer-based sauce and served over a jalapeno-cheese crispy grit cake. It was fabulous -- and the perfect size for sharing! 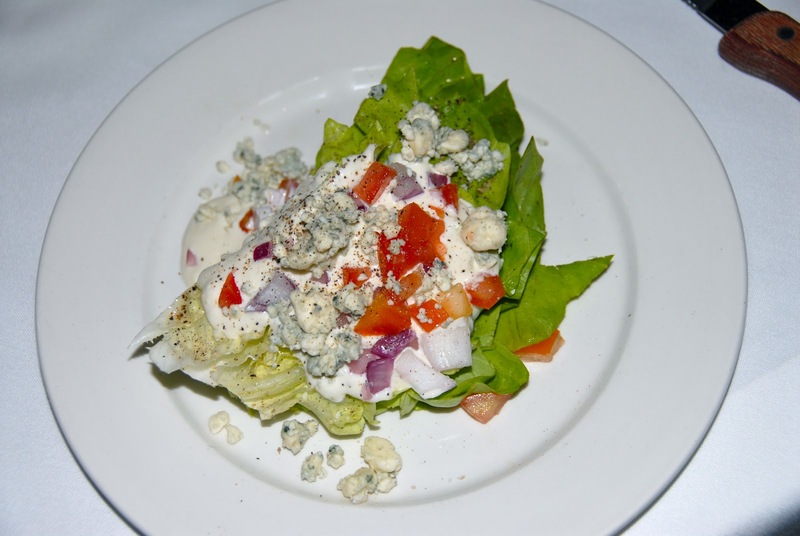 Our salad was a classic Wedge Salad with Blue Cheese. The dressing was rich and creamy, with the perfect amount of pungent blue cheese over tender butter lettuce. Our entree was a nightly special: a 22-ounce bone-in aged ribeye topped with sweet jumbo lump crab and an herb compound butter. This was one of the best steaks I've ever tasted! Well-marbled, tender, and juicy. And the crabmeat? It took this steak right over the top. Talk about Wow Factor! This steak has it in spades. We were getting very full by then, but we had one more stop to make for dessert before we headed back to our cottage for the evening. 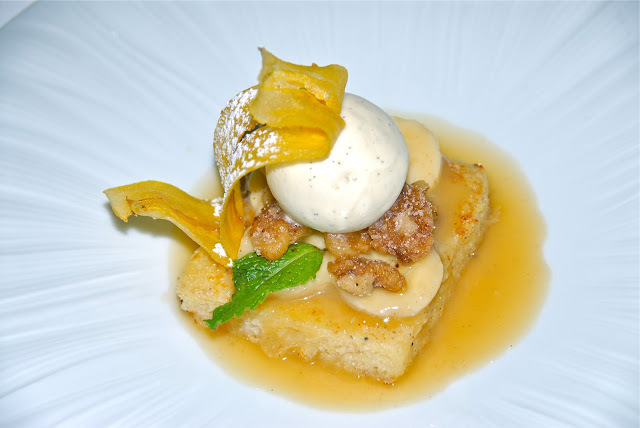 While researching restaurants to visit for this trip, I came across a dessert at Restaurant Stella! that immediately caught my eye: their Bananas Foster French Toast. It was so gorgeous that I knew I had to try it. 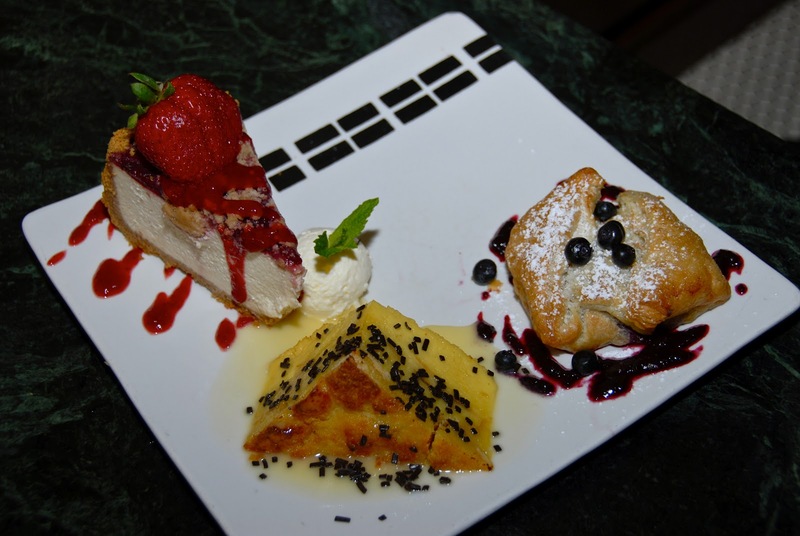 They had recently switched to a multi-course prix fixe menu, but they graciously invited Michael and I stop by to have dessert as their guests. Imagine this: rich banana-infused French toast topped with Tahitian vanilla bean ice cream, spicy candied walnuts, and fried plantains. Now you know why I couldn't leave town without trying this dessert! We were seated in the elegant dining room and brought a sweet amuse bouche while our desserts were being plated. We swooned as the plates were placed on the table. It was almost too pretty to eat...almost being the key word. Michael and I agreed that this is one of the best desserts that we've ever eaten...and that's really saying something. The bananas were perfectly ripe, and the caramel sauce was the perfect consistency for the moist French toast base. The ice cream provided a bit of richness, and the crisp plantain reminded me almost of phyllo in texture. Heaven, I tell you! Before we left, Chef Scott Boswell sent us a plate of miniature sweets to sample. It was such a nice touch...as was the cab they called for us so all we had to do was walk outside and jump inside on a rainy evening. We made it back to our cottage stuffed and happy! We met up with our cousins Mark and Crystal. They stayed in the second bedroom and served as our Social Media Specialists the remainder of the trip, tweeting and posting real-time updates on Facebook. We chatted with them for a bit, then I enjoyed a relaxing soak in that deep jetted bathtub in my huge marble bathroom. Then, I collapsed into the comfortable King-size bed and slept like a baby. The next day, we had a full agenda of eating planned...so we needed our rest. 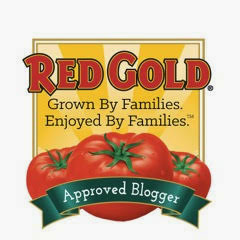 Come back on Thursday to hear more about our New Orleans food adventures! Disclosure: This post was hosted by the New Orleans Convention and Visitors Bureau, who arranged for all of our complimentary meals at featured restaurants. Our hotel stay was provided by The New Orleans Hotel Collection. All opinions expressed are mine...and all photographs in this article were taken by my husband, Michael K. Garcia. The pictures are copyrighted and may not be copied or shared with express written consent. Wendy I have been planning on visiting New Orleans for several years now but have had to travel back to Ireland more than I expected so have not made the trip from NYC. You have put a fresh sense of urgency into my quest LOL..So next year with any luck.. I had followed along with your trip on Facebook and am glad you are putting together some posts on your trip looking forward to part 2. It's one of the most fun cities in the country -- great food, great music, lots of history. Just plain fun! 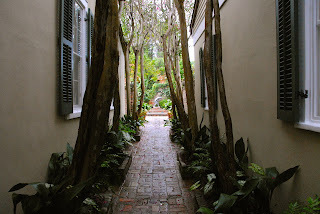 The focus of this trip was food...but there are so many fun things to do in NOLA! I have been waiting for this post! So glad to hear everything is open and ready for business! I can't wait to see what's up next! Saturday was non-stop eating: beignets, TWO lunches...and a fabulous dinner! Wendy, it sounds like a totally amazing weekend in every sense! How fun! I've never been to New Orleans but you've got me wanting to to pay the fine city of visit, once more destination to add to my wish list! It was a blast, Chris! You should definitely visit...it's such a fun city. Food, history, pretty architecture, etc.! One of the places on my must visit list one day. Congrats on your new job. p.s. Hope to see you in S.F. in October. Thanks, Gina! Yes...I will see you in SF next month!! Need to e-mail you so we can make sure to meet up while I'm there!